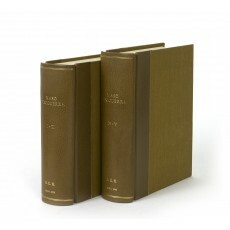 Five volumes bound in two (25.5 and 27 cm), I (1936): 269 pp. II (1937): 240 pp. 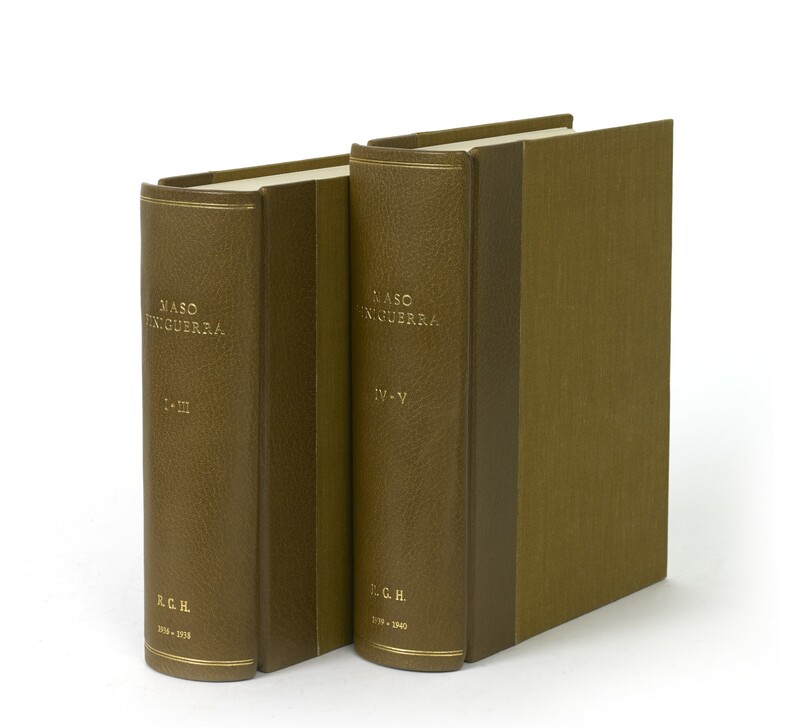 III (1938): 362 (2) pp. IV (1939): 313 (3) pp. V (1940): 314 (2) pp. Very numerous illustrations. Uniformly bound in half-morocco, a collector’s binding (original wrappers bound in). - Includes contributions by Roberto Almagià, Alessandro Baudi di Vesme, A.E. Popham, Max Sander, Albert Schramm, W.F. Volbach, Campbell Dodgson, Albano Sorbelli, P.O. Kristeller. Cf. Simone Misiani, La stampa periodica romana durante il fascismo (1927-1943): Repertorio (Rome 1998), II, p.591 no. 1791; Prause p.347; Nievo & Girard p.825 (duplicate entry 1607). ¶ From the auction sale of the Handbibliothek L’Art Ancien, Zürich, conducted by F. Zisska & R. Kistner, Munich, 27-28 March 1984, lot 949. Very fine set.